When the Puritans came to America, they were looking to purify the church from all of the medieval corruptions that had tainted it for centuries. But instead of simply allowing the state to preside over the church, they tried to make church attendance mandatory for everyone. Their hope was that they could inhibit government corruption and ensure church unity by getting the entire nation into the pews. But in so doing, the American church ended up relying on the state to accomplish this--not unlike the European church before it. And just like the Imperial Christianity of the Middle Ages, Democratic Christianity became less and less dependent on the Spirit for guidance. In fairness, to say that the way the church had always run things was the best way would be intellectually dishonest and hypocritical. Furthermore, it's rather dubious to take the entire book of Acts, a description of the first-century church, as prescriptive for the church today. However, it can't be ignored that the modern church has been just as influenced by history as it has the Bible. In fact, it's impossible to avoid seeing the growth of Congregationalism as an indirect, if not direct, result of the Reformation, the American Revolution, and the incipient modern emphasis on the individual. And this can be seen in three key areas. Congregationalism prides itself in keeping local matters local. Unlike other forms of church government, there is no higher ruling body presiding over individual churches. And if there is, it only gets involved in issues that could affect all of the churches. This stems from the belief that authority should only come from within the community. Since ruling bishops or elders outside of the community wouldn't have the same knowledge or experience as local ones, it's argued that their authority would be less informed and, therefore, less effective. However, we don't see Scripture advocating such a model. By the time the church gets to Acts 15, we already see an organizational structure that includes both local and universal leadership. Some would argue that the apostles exercised a historically-unique authority and that only the church of Antioch was represented. But the apostles' authority wasn't simply their own; they confirmed it through the prophets. And the apostles' ruling wasn't just disseminated to Antioch and the surrounding area but the Roman province of Cilicia as well (which, incidentally, included all of the territory that the apostle Paul had just covered in the preceding two chapters). In truth, this has less to do with resistance to outside authority as it does authority, in general. Congregationalists may contend that others shouldn't be meddling in their affairs, yet they do little to manage them themselves. Church discipline is a bad joke where those who claim Christ feel entitled to continue in their destructive ways because churches don't want to lose numbers and revenue. It's a self-assured, defiant spirit not unlike the one that created this brand of Christianity and this nation. Hierarchical authority was also credited with creating inequality within the body in the form of a ministerial caste system. The Protestant Reformation attempted to undo this by taking the apostle Peter's words about all believers being a royal priesthood to mean that all believers were equals. This priesthood of all believers doctrine was used to support the election of leaders since their appointment would indicate that some would have to be more worthy than others. However, Peter was making a positional statement, not a theological one. Previously, only priests had access to the presence of God, and they were chosen from one, particular tribe. So when Christ came, everyone was granted equal access to God. But that certainly doesn't make us equals across the board. If that were true, then Paul would have never said that elders couldn't be new converts. Indeed, he goes on to restrict women from speaking or teaching because, due to cultural circumstances, they were not adequately qualified. Which means that at that time, they were not equals in ministerial ability. People aren't equals in faith either. When Paul told us to not think more highly of ourselves than we ought, he didn't follow that by saying "because you're all equal." Rather, he said to judge ourselves in accordance with the measure of faith allotted us. And just like Jesus indicated in the parable of the talents, some of us have greater gifts than others. Equality has no room for a God who predetermines lives so freely. It is a humanist ideal dependent on the belief that our destinies are completely up to us--that any supposed inequalities are based on personal choices, not divine ordination. It's the same ideology that founded this nation and inflames our obsession with personal identity and independence. We don't want to see ourselves as a part of anything other than ourselves or affected by anything else. For that reason, Congregationalists limit the expression of the visible church to the local congregation and reduce the potency of the invisible church to a utopia--the latter referring to all Christians regardless of location or affiliation. This also effectively limits unity to the local congregation. 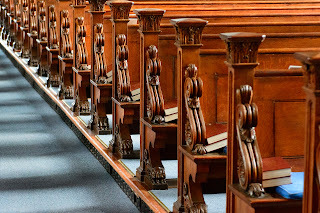 If the invisible church is a reality so transcendent that it lacks any connection to the visible church, then large-scale unity would have to be more of a promise than an obligation. If both unity and love (as Jesus said earlier) are supposed to distinguish us as followers of Jesus, then division and indifference must signify the absence of his spirit. And if the church can't trust him to make us one together with him, then its trust must be in something else. From its beginning, America has placed that trust in the individual. Whether it's the evangelical who emphasizes personal Bible study or the politician who encourages personal responsibility, the American spirit has convinced Christians that unity comes second to being who you are. Until you fully know yourself, it claims, and allow yourself to be that person without fear or encumbrance, you will never be able to live in harmony with others. It's a lie that scares people away from marriage and a lie that scares the church away from ecumenism. Any fear of interaction with someone different is a fear that this interaction would produce a change, and the fear of change is the sin of pride. We can try to hide behind the pursuit of purity as our holy and noble aim, but only arrogance would say that we have nothing to change. 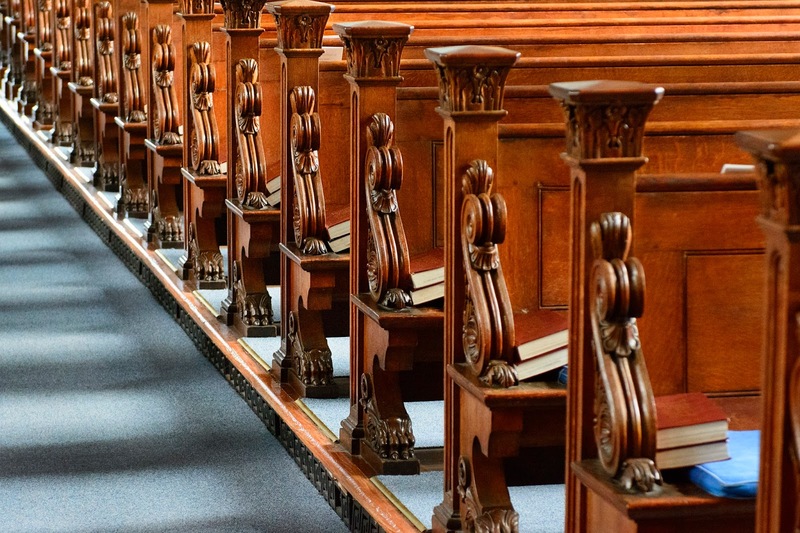 Congregationalism may attempt to right some genuine abuses, but it does so by promoting an insubordinate, independent individualism that has eroded orthodox teaching on authority, equality, and unity. It's the same self-centered spirit that built this country and will likely shorten its shelf life. Democracy may appear to oppose to tyranny, but it only hides the tyrant in the individual. What democracy is really opposed to is sovereignty. And nothing is more antithetical to Christianity than that which grants to the individual what belongs solely to God and his church.